The affairs of the Institute are managed by a Council elected annually from Fellows of the Institute. The Council comprises one president, two vice-presidents, ten Fellows and the immediate past president. All positions are voluntary and the Council endeavours to meet on a six weekly basis, or at least eight meetings are conducted annually. Richard Baddeley was elected to Council in 2000. Initially serving as Convenor, Publications Committee, he has since served on the Patents Practice and Legislation Committees of IPTA Council, for a significant period simultaneously. Richard Baddeley was elected to Council in 2000. Initially serving as Convenor, Publications Committee, he has since served on the Patents Practice and Legislation Committees of IPTA Council, for a significant period simultaneously. In these roles, he prepared submissions, in co-operation with other Councillors and organisations, to Government Agencies including IP Australia and ACIP on issues including Crown Use, Privilege and Post Grant Enforcement. These issues remain topical today. Between 2007 and 2008 Richard also served as IPTA’s representative to the Patents Consultation Group of IP Australia, travelling to IP Australia in Canberra to put the views of Institute members on a wide variety of sometimes contentious practice and policy issues including the questions of divisional filings, acceptance periods and opposition practice. Since 2009, Richard has been a member of the IP Professionals Forum group which has held meetings in Melbourne and Sydney so far. From 2008 to 2017, Richard was the Convenor, Finance and Secretariat Committee, and had initial oversight over Institute finances, including review of income and expenditure statements; and higher level supervision of Institute cash reserves. Currently, Richard serves as President of IPTA, is the Convenor of the Conference Committee and also serves as a member of the Patents Legislation Committee. Michael Caine joined the profession in 1989 and has been a partner at his firm since 1998. Michael is responsible for his firm’s organic chemistry / pharmaceutical group. Michael joined the IPTA Council in 2001 and served as the Convenor of the International Patents Committee from 2001 to 2008. Michael Caine joined the profession in 1989 and has been a partner at his firm since 1998. Michael is responsible for his firm’s organic chemistry/pharmaceutical group. Michael joined the IPTA Council in 2001 and served as the Convenor of the International Patents Committee from 2001 to 2008. During that time he also contributed to the work of other committees including the Patents Legislation Committee. In 2008 he became the Convenor of the Patents Legislation Committee, while retaining an active role with the International Patents Committee. Michael is involved in overseeing the preparation of submissions to IP Australia and other Government bodies in relation to Australian patent law and practice. He also consults to IP Australia in his role as member of the Patents Consultation Group. Michael is also an active member of FICPI where he has served as the chair of FICPI CET Group 3 (International Patents) since 2012. Michael is currently Vice-President of IPTA. Trevor Davies has been practicing in the life sciences patent area for over 22 years. Prior to joining the patent attorney profession, Trevor worked as a Post-Doctoral Research Fellow at University of Chicago in the US and the University of Saarland in Germany, carrying out research on renal diseases. Trevor was elected to IPTA Council in 2002 and was Convenor of the Publications Committee for four years and a member of the Ethics & Disputes Committee. Presently, Trevor is a Vice President of IPTA, Convenor of the Ethics and Disputes Committee, Rules Committee and the Plant Breeder’s Rights Committee. Trevor has been actively involved in the ‘gene patent’ debate over many years. He was a member of the advisory committee of the Australian Law Reform Commission enquiry into gene patents in 2004. On behalf of IPTA, Trevor drafted a number of submissions, participated in media interviews, and appeared before two Senate Committee hearings in relation to enquiries into gene patenting in 2009 and proposed patent legislation changes in 2011. Trevor was also involved in applications by IPTA to be heard as amicus curiae in relation to the recent High Court appeal in D’Arcy v Myriad Genetics and in relation to proceedings in the High Court between Alphapharm, Lundbeck and the Commissioner of Patents regarding availability of extensions of time for filing patent term extension requests. Janelle Borham is a registered Australian patent and trade mark attorney, and a registered New Zealand patent attorney. Janelle entered the profession in 1994, and has been a partner at her firm since 2002. Janelle has been a member of Council since 2007. Janelle Borham is a registered Australian patent and trade mark attorney, and a registered New Zealand patent attorney. Janelle entered the profession in 1994, and has been a partner at her firm since 2002. Janelle has been a member of Council since 2007 and has had roles on the Membership Committee, the Rules Committee, the IPTA/IPA Business Relations Committee, and now as the Convenor of the CPE Education Committee. Janelle has additionally been on the Conference Committee of IPTA for several years. A key achievement of Janelle’s since becoming a Council member was to establish the IPTA webinar service through which IPTA has been able to offer frequent CPE presentations to members across Australia. Janelle invites members to approach her with suggestions of speakers, both local and international, who are able to make presentations to IPTA members through the webinar service or otherwise. Janelle’s focus on member education has created a natural fit with the IPTA Conference Committee, which is another major avenue through which IPTA seeks to bring its members up to date with the latest in local and international developments in the IP field. Christine Emmanuel is a registered patent and trade marks attorney in Australia and New Zealand and a Fellow of the Institute (IPTA). Christine is also a member of the Australian Institute of Company Directors. She was voted on Council for IPTA in 2012 (Commercialisation and Education Relations committees). Christine commenced in private practice in 1995, having previously worked at Ciba Geigy (UK) and IP Australia. She currently manages the IP team at CSIRO. She is passionate about addressing the challenges of leveraging IP value in order to best transition technologies from innovation to impact, developing tools for strategic IP management, driving science direction and positioning for commercialisation. Philip Gehrig holds a Bachelor of Engineering Degree with Honours from the University of Melbourne. He specialises in the fields of patents and designs and his experience and expertise spans a broad range of mechanical engineering technologies. These include aeronautical and aerospace construction and components, medical devices and surgical instruments, prostheses and implants, mining and agricultural equipment, manufacturing processes and machinery, and consumer products. 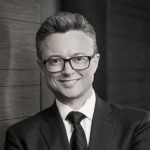 Philip joined the patent attorney profession in 1991 and qualified and practiced as an Australian patent attorney and a New Zealand patent attorney in Melbourne before moving to Europe, where he worked in Germany for many years. He qualified as a German patent attorney (Patentanwalt) and European patent attorney and was a partner of a leading patent and trade mark attorney firm in Munich, before returning to practice in Australia in 2017. Philip is a Fellow of the Institute of Patent and Trade Mark Attorneys of Australia (IPTA), a member of the German Patentanwaltskammer, a member of FICPI and a member of AIPPI. William specialises in the drafting, prosecution and opposition of patent applications, as well as providing advice on patent matters in the technical fields of mechanical, chemical and process engineering. William’s engineering studies focussed on modelling industrial biochemical processes particularly in the area of wastewater treatment. His final year of engineering study was completed on exchange at the Ecole National Superieur d’Ingenieur Genie Chimique (ENSIGC) in Toulouse, a member of the French Grande Ecoles. Here he conducted extensive research in the modelling of fluids in continuous and batch processes and participated in several industry placements with a number of large companies. Since joining Davies Collison Cave in 1998, William has been particularly involved with the protection of innovations developed in the clean technology sector which include environmentally sensitive building materials, renewable energy production, clean coal, CO2 capture and storage, and treatment and recycling of waste and waste water. William joined the IPTA Council in April 2017. William has taken the position of Convenor of the International Patents Committee. Anna Johnston is registered Patent Attorney who has been employed as an in-house attorney for 18 years first for CSL and then with CSIRO. She has a PhD in Biochemistry and spent her first 8 years working in a range of research and development roles at CSL before switching to intellectual property (IP) management. She has worked in Norway, Switzerland and New York in areas of research, technology transfer, IP and continues to work with CSIRO’s global partners helping to transition CSIRO’s technologies from innovation to commercialisation. She is passionate about developing smarter ways to work and about teaching others to do the same. She is also keen on helping SME’s to understand the maze of IP rights and IP value. She is a member of Biomelbourne Network, a member of Licencing Executive Society’s Victoria’s organising committee and a recent Fellow of IPTA. She has helped organise numerous seminars and conferences both externally and internally and is heavily involved in in-house education of IP to CSIRO’s wider community. She has delivered numerous lectures to a variety of audiences and is a certified Licencing Executive Society trainee. Anna feels she can contribution to IPTA Council as a result of her extensive commercial and industrial experience. Andrew Jones has over 15 years’ experience in the patent profession and has been a registered patent and trade mark attorney since 2004. He spent 11 years working in the chemistry/life sciences group at one of the large firms before becoming a sole practitioner in 2013. Andrew is new to the IPTA Council in 2017, but keen to become involved in any way he can. He has previously been involved in the education of trainee patent attorneys as a teacher of the course Drafting of Patent Specifications and is one of the co-conveners of the informal IPTA Sydney Drinks. His first role on Council is co-convenor of the Continuing Professional Education Committee. John Landells has about 13 years’ experience in the patent profession, is a registered patent attorney in both Australia and New Zealand, and a Fellow of IPTA. John has a PhD in Chemistry, Bachelor of Laws (LLB), and is a legal practitioner in both Australia and New Zealand. John Landells has about 13 years’ experience in the patent profession, is a registered patent attorney in both Australia and New Zealand, and a Fellow of IPTA. John has a PhD in Chemistry, Bachelor of Laws (LLB), and is a legal practitioner in both Australia and New Zealand. John specialises in the patent field and has particular expertise in a broad range of chemical based technologies including materials chemistry, pharmaceuticals and formulation chemistry. Jennifer McEwan is a registered patent attorney, registered trade mark attorney and practising lawyer. Jennifer has been on IPTA’s Council since 2012 and headed the Membership Committee until April 2015. She now looks after the Trade Marks Committee and the Designs Committee. Jennifer McEwan is a registered patent attorney, registered trade mark attorney and practising lawyer. Jennifer has been on IPTA’s Council since 2012 and headed the Membership Committee until April 2015. She now looks after the Trade Marks Committee and the Designs Committee. 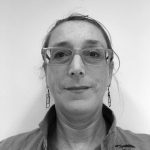 Jennifer has also been very active on the Conference Committee and has contributed to the organisation of IPTA’s annual conferences, including developing topics, inviting presenters, introduction of the now regular YIPTA Breakfast Session. Jennifer is committed to providing members with high level and stimulating annual conferences, and has worked hard to ensure each annual conference with which she is involved is a success. Having established and worked in a boutique IP firm for over 10 years, Jennifer believes it is important for smaller practices to have a voice on Council in order to provide balance and to help ensure the needs of “small firm’” members are met. Grant Shoebridge has a decade of experience in pharmaceutical and biotechnology-related intellectual property. Grant has a PhD in immunology and spent 15 years working in a range of medical research fields including, HIV, cancer and vaccine-based research. Grant Shoebridge has a decade of experience in pharmaceutical and biotechnology-related intellectual property. Grant has a PhD in immunology and spent 15 years working in a range of medical research fields including, HIV, cancer and vaccine-based research. Grant also has industry-based expertise, having worked for two biotechnology companies in London and Switzerland on the development of diagnostics. Grant has also been involved in the “gene patent” debate in Australia. This has included numerous TV, radio and print media appearances as well as involvement in IPTA’s application to be heard as amicus curiae in the High Court appeal in D’Arcy v Myriad Genetics. From 2010 to 2013, Grant was a lecturer for “Interpretation and Validity of Patent Specifications” which is part of the University of Technology, Sydney postgraduate law program, and the Masters in Intellectual Property, which provides a pathway to registration for Australian patent attorneys. Grant is currently a lecturer for the University of NSW course “Myths and Realities of Personalised Medicine: The Genetic Revolution”. Grant joined the IPTA Council in 2016. David Tadgell has been in the profession for over 30 years and a partner of his firm since 1993. He qualified as a Patent Attorney in 1988 and became a Fellow of the Institute of Patent Attorneys in February 1989. David Tadgell has been in the profession for over 30 years and a partner of his firm since 1993. He qualified as a Patent Attorney in 1988 and became a Fellow of the Institute of Patent Attorneys in February 1989. David has been an active member of the Institute since becoming a Fellow in 1989, including attending many IPTA Conferences. In his professional life, David has contributed to a number of Intellectual Property organisations, most notably AIPPI, where he held the position firstly as Secretary of the Australian Group for a number of years, and then served as President from 2004 until 2008. He currently holds the position of Council Member of the Australian Group of AIPPI. David has also been actively involved in education where he has lectured in Patent Systems firstly through the IPTA initiated Academy, and then at the University of Melbourne where he continues to lecture in subjects including Patent Opposition, Patent Restoration and Patent Extension of Term. He is now also part of the team lecturing in Interpretation and Validity of Patent Specifications at the University of Melbourne. David has been involved in the education of Patent Attorneys for about 15 years. David feels as though he could make an active contribution to Council, particularly given his involvement in the education of students who aspire to become Patent Attorneys, and also because of his experience internationally through his involvement with AIPPI. David sees the Institute as having a leading hand in ensuring that Patent Attorneys receive the appropriate training and his experiences with the education system of Patent Attorneys would be invaluable. Further, David would also be able to contribute given his international experience through AIPPI.